In our blog post “Free Advertising for Moving Companies – Answer Questions!” we encouraged you to write moving-specific blogs for your website and gave you some tips on how to find relevant subjects to write on. (click here to read that newsletter) We further suggested that some of the best blog topics are answering questions related to moving. If you recall, these types of blog posts bring you search traffic where the searcher intent is to move and hopefully find a moving company. This type of blog also, and just as importantly, helps build your trust and especially your authority within Google’s search algorithm. The higher your trust and authority, the higher each and every blog ranks, and the stronger your website will rank for all keyword searches. This IS an essential component of search engine optimization. So you may be asking, “if I write one of these posts, properly answer a question on Google, and optimize the content, what is the potential reward?”. Well if there were rewards for 1st place, it would go to the blog post that Google features to answer a particular question. They do this with something called a Featured Snippet. A featured snippet cannot be bought, yet it gets position 0. Wait, position 0? What the heck is that. Well that means it is BEFORE the first organic result. 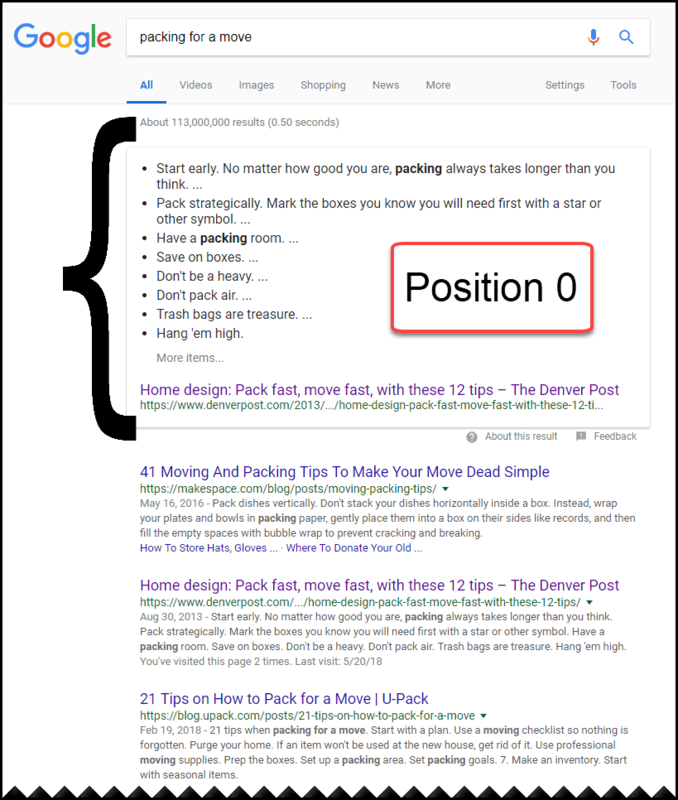 Below is what Position 0 looks like for the query “packing for a move” . It should be quite obvious that this is VERY valuable search result real estate. It appears above the normal organic search results, and thus it is referred to as position 0. What goodies would you expect from this one single blog post? 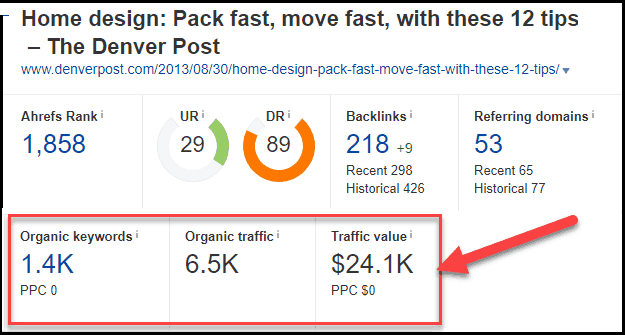 It ranks for 1,400 different keywords, has monthly traffic of 6,500 hits and has a monthly traffic value of $24,100! Remember this is one blog post. Imagine if Google had selected your blog post here. This is traffic that converts to moving customers. Keep in mind that there are thousands of moving related questions and topics that Google is rewarding with these featured snippets. 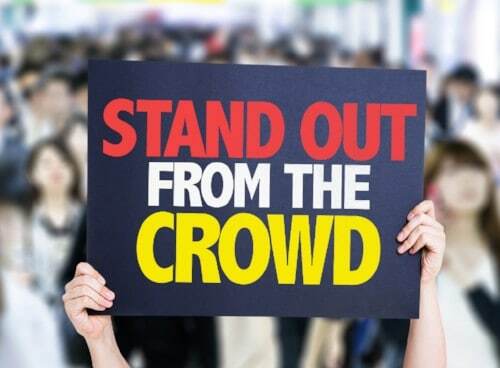 Each of them is a coveted piece of search result real estate and brings the winner much qualified (and free) traffic. In this newsletter, we don’t have the time to tell you all that goes in to getting your blog post to position 0, and it isn’t easy. But there are very specific things you can do to greatly increase your chance of gaining that position from a competitor. Reach out to us and we would be happy to share these secrets with you.